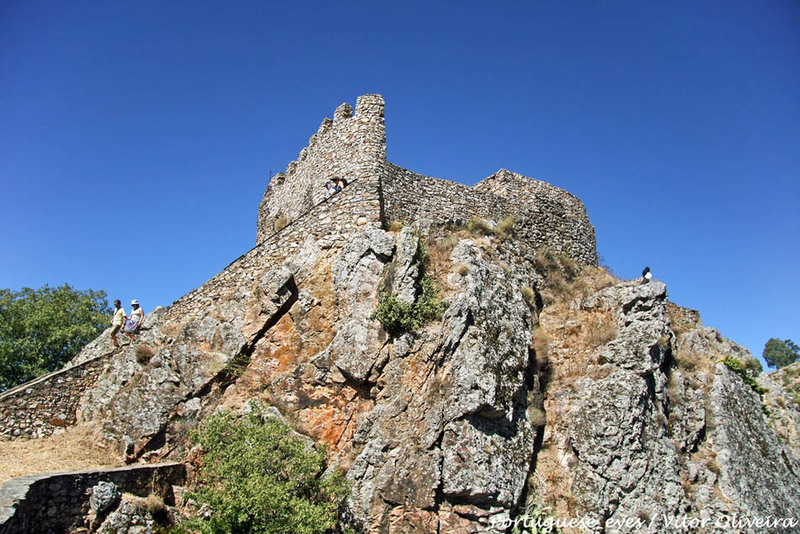 Explore Penha Garcia Castle and and discover its unsettling secrets, in Castelo Branco, Portugal. Penha Garcia Castle is believed to have been built by the Knights Templar on top of a Roman fortress that was preceded by a prehistoric hill fort. It is currently located in the town of Penha Garcia, in Idanha-a-Nova, within the district of Castelo Branco, Portugal. However, some suggest that the building began commanded by King D. Sancho I, and that it was ordered by King D. Afonso II to the Order of Santiago in 1220. In this lines, the castle was ceded by King D. Dinis to the Knights Templar in 1300 and returned to the crown after the extinction of the crown in the 16th century. From the 19th century onwards, this military building began a process of decay and only some fragments of the walls remain today. The castle is linked to the legends about the kidnapping of the daughter of the Governor of Monsanto, D. Branca. The kidnapper was chased by the father of the girl, the Governor, who eventually captured him and sentenced him to die. However, he was eventually not killed and rather punished by having his arm cut off. Legend goes that he still wanders around the castle. 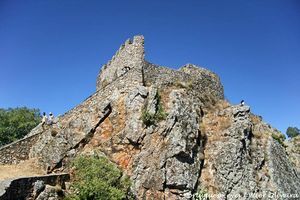 Penha Garcia, Idanha-a-Nova, Castelo Branco.